Building from the success of the first Nope magnetic privacy shield for cameras on all your devices including desktops, laptops, smart phones and tablets. 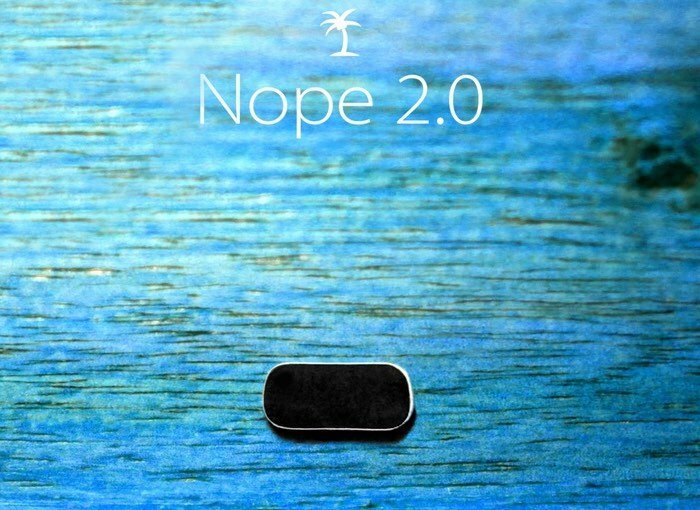 The development team has once again taken to Kickstarter to launch the second generation Nope device named Nope 2.0. Watch the promotional video below to learn a little more about this magnetic privacy shield which allows you to have peace of mind that no one is snooping through your web camera. Nope Webcam Cover : Why not just use a piece of tape to cover the lens? We started this project because we volunteer with students who use digital camera enabled devices. The shocking truth is that just about anyone can hack into your computer and turn on the camera without you even knowing it. The only way to guarantee your privacy is to cover the camera when you are not using it. We believe that it is your space, so you should be the one to decide when your camera is being used.